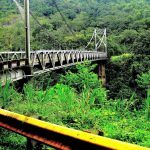 There’s nothing like a road trip to get to know Costa Rica; it’s a freeing experience because you can stop where you want, for as long as you want. Best of all, you’re more likely to get a better understanding of Costa Rican culture and customs when you’re traveling around on your own by car. Naturally, you’ll need to rent a car. Mostly, you won’t need 4-wheel drive, but if you plan to head for some of the more off-the-beaten-path areas (Nosara comes to mind, as does Monteverde), you may find it comes in handy; especially during green season, when roads can be a bit rougher, and rivers (yes, you may need to cross a river!) get higher. Book ahead of time to get the best price. An intermediate-sized SUV will cost about $50/day during high season, sometimes more; a regular car will be a bit less than that, and insurance is always required. 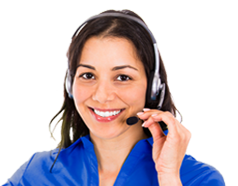 You’ll be able to find complete information about car rental insurance coverage and rates here. Before driving away, be sure to inspect your vehicle carefully. Check out our suggested itinerary, which is totally adaptable to your whims and desires. San José and its surrounding countryside is a great place to spend your first day and night. In San Jose proper, there are a number of wonderful hotels, including Grano de Oro right in the city, and Hotel Alta just outside the city in the suburb of Escazu. If you’re feeling the need to get into nature as quickly as possible, head for the Peace Lodge at La Paz Waterfall Gardens. 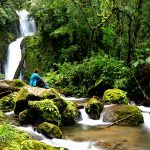 Even if you opt for less expensive accommodations in San Jose or nearby, the gardens are a great day trip with a butterfly sanctuary, hummingbird habitat, wildlife rescue, impressive waterfalls, trout lake, authentic 150-year-old Costa Rican farmhouse, restaurants, bars and more. Next- Volcanos and hot springs near Lake Arenal! This morning you’re headed for Arenal. From La Fortuna at the foot of the volcano, you can try your hand at zip lining or your feet on the hanging bridges. Tabacón Hot Springs and Resort is a real treat; the river, straight from Lake Arenal, provides the heat to soak away any lingering stiffness from default life back home. If you’re looking for an upscale luxury resort to stay in, you can go wrong with The Springs. Those on more of a budget will enjoy Volcano Lodge & Springs; be sure to opt for a suite with a private hot springs Jacuzzi garden! How about the cloud forest? The drive from Arenal to Monteverde will take about 3.5 hours via Route 142 and Route 1. Monteverde Cloud Forest is probably Latin America’s most famous cloud forest. It straddles the continental divide with the Pacific on one side and the Caribbean on the other. The area includes several different reserves. It also includes some of Arenal Volcano National Park. Well worth a day’s exploration; or two! The road to get there is a bit on the rough side, so if you plan to include this special experience, you may want to consider renting a 4-wheel drive; at a minimum, you’ll want an SUV that gets you a bit higher off the ground. 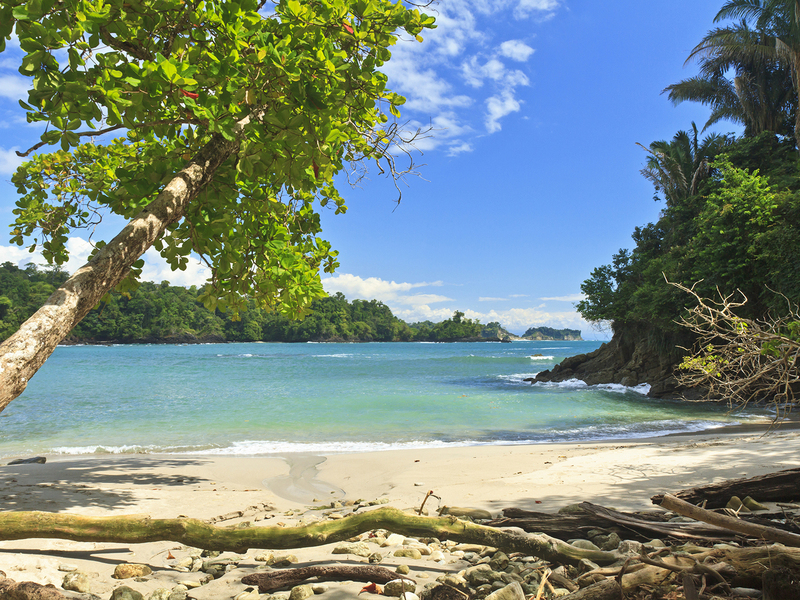 Another 3.5-hour drive and you’ll arrive South in Manuel Antonio via Route 34. Manuel Antonio National Park is a gem on the Central Pacific coast. Here’s a chance to catch some rays on its white sand beaches in this idyllic jungle meets ocean area. The easily accessible park is small but packed with biodiversity. The main trail in the park is flat and wide, suitable even for sandals, and an easy trek for everyone. Monkeys and raccoons are the stars of the show, being so accustomed to humans that they’ll come right up to you. Charming yes, be beware; they’ll grab your bag and make a run for it if they can! There are dozens of great hotels, resorts, and vacation rentals to be had in the area, most with spectacular ocean views, and ranging from budget to luxury rates. Restaurants, bars, animal rescues, and forest canopy tours are the main attractions in this hillside, Oceanview resort destination. Want to get even deeper into the rainforest and enjoy even more spectacular ocean views? Keep heading south toward Dominical and surrounding beaches. In this sleepy little surf village, you’ll find a far less commercial vibe. Don’t expect a lot of fancy hotels, resorts or restaurants, but do expect an abundance of authenticity, nature, and tranquility. Sadly, the time will come to return to San José and catch your flight home. From the Dominical area, it can easily take about five hours to reach San Jose. Now, you can choose to head on in to San Jose and spend the night there before your flight, or you can stop off in the Jaco Beach, Costa Rica area and stay there; after all, it’s only an hour’s drive to the Juan Santamaria International Airport, so why not get one last night near the ocean? A few favorite hotels, resorts and accommodations in the area? Croc’s Resort & Casino is all-inclusive and right on the beach; it has a Vegas-style casino on the property, four specialty restaurants, a very nice spa, and a huge, free-form swimming pool that is steps from the sand. Hotel Villa Caletas enjoys amazing ocean and forest views, excellent service, a good spa, and great food. Or, check out Airbnb; you’re bound to find just the right digs for the night. Jaco has plenty of great nightlife, so if you want to get out on the town and have some fun, this will be a great stop for your last night in Costa Rica. Whether you end up falling in love with one special area or want to explore everything you can, a rental car is key to a great road trip, exploration, and adventure in the span of a week in Costa Rica. Reach out today and start planning; it’s time to get your travel on in Costa Rica!